Your rent is one of the most important payments you will need to make. We realise that your circumstances can change and keeping up with your rent payments may become a struggle. We know it can be difficult and stressful if you do fall behind with your rent, but please do not ignore it, talking to us is an important first step. If you're struggling to keep up with your rent payments please contact us straight away to speak with your Housing Officer. If we are trying to contact you about your rent, please talk to us and do not bury your head in the sand. We are here to help and will work with you to ensure your finances are manageable. If you find yourself in rent arrears we will help by agreeing an affordable payment plan in order to clear your account and get you back on track. However, you need to be realistic about how much you can afford to pay. We don't want you to agree to any arrangement that will cause unnecessary stress and worry to you, it is not in anyones interest to set you up to fail. If you fail to adhere to an agreed payment plan and do not work with us to try and recitify your arrears we will take legal action, which may risk your tenancy. Help us to help you, by keeping us up to date with changes in your circumstances. The sooner we know there is a problem, the more we can do to help you resolve it. Do you qualify for Housing Benefit payments? Contact your Housing Officer for guidance and assistance in completing an application. 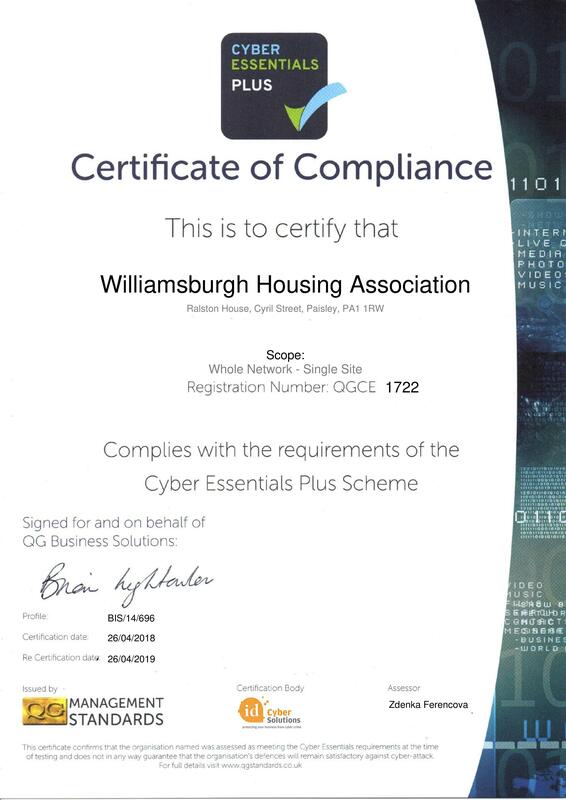 Housing Benefit can help you with all or part of your rental amount and for your convience payments can be made directly to Williamsburgh Housing. If you only qualify for partial Housing Benefit, we will expect you to pay the shortfall not covered by Housing Benefit. Please contact our team to arrange payment or to set up a payment plan for any arrears which may have built up on your rent account. I Have Applied For Help With My Rent- What's Next? Whether your claim is for Housing Benefit through Renfrewshire Council or Universal Credit through DWP, you must provide them with any other information that they ask for to help them to process your claim and get your benefits up and running. Please also keep your Housing Officer updated to avoid unnecessary action being taken against you for rent arrears. Whilst this is happening, you must continue to make payments to your rent as provided to you by a member of the Housing Management Team. If you would like Williamsburgh to be able to assist with your benefit claim or discuss it with Renfrewshire Council on your behalf you will be required to complete a consent form. Are You Eligible For Any Other Help? You may also qualify for other benefits which could help you to boost your income and manage your spending and your debts better. Our Welfare Rights Officers are available to assist with maximising your household income, providing you with information and guidance and ensuring you are in receipt of all the benefits you are entitled too. Contact us on 0141 887 8613 for more information.